Look at that photo. 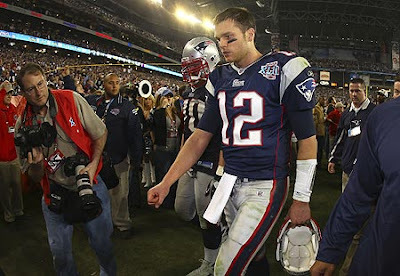 Seeing Tom Brady sulk off the field is priceless. Especially after the classless way the Patriots exited University of Phoenix Stadium after being shutdown with :01 left in the game. I guess that just goes to show that a little videotape goes a long way.